*Weapons Workout – This class will focus on moving dynamically when attacking and defending using a bokken and jo. The class will use kata, kumitachi and kumijo exercises. Guaranteed to make you sweat! 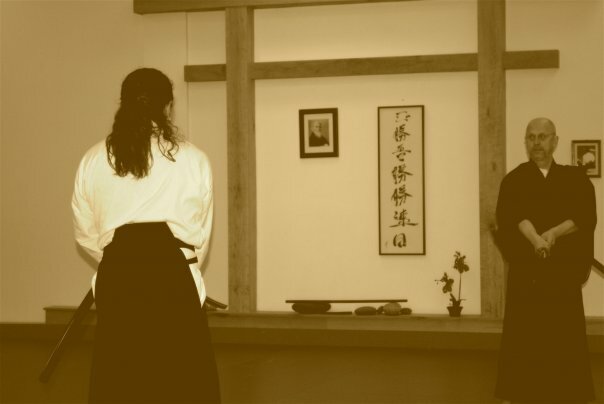 *Aikido Open Mat – The opportunity for students to come in and work on the techniques they want to work on in the way that they want to work on it. The open mat time will not be run as a structured class. Arrange time with one or more of your peers and use the mat time the way that you want to use it. A teaching staff member will be on site to proctor the time, make sure practice is being done safely, an answer questions if asked. This timeslot will offer students a valuable opportunity that can be used to prepare for testing, put some polish on the technique of their choice, or simply explore different ways or style to do techniques. Requires prior SignUp in the Dojo!